New Bill Introduced to Ban Online Poker in the U.S. The state of online poker in the United States always seems to be in controversy. 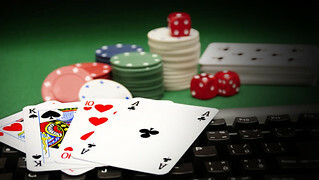 During recent Senate and House meetings, a new bill that proposes to ban Internet gambling in the U.S. was introduced. This bill was backed by long-time gambling opponent Sheldon Adelson and sponsored by representatives Sen. Lindsey Graham of South Carolina and Jason Chaffetz of Utah. The bill is going by the name the “Restoration of America’s Wire Act”. In order for a bill to gain support, sponsors try to recruit co-sponsors to lend their backing. So far they have struggled to do so, which is good news for the poker world. While Senator Graham was able to add Dianne Feinstein from California, he was only able to get two other co-sponsors. Chaffetz had seemingly more success, getting nine co-sponsors, but none from Democrat party are from states that currently offer gambling of any kind. In plain terms, there is currently not a lot of support for this bill. Before celebrating a victory, it’s important to make sure the job is done. John Pappas is the executive director of the Poker Players Alliance (PPA), who work to ensure that poker players are treated fairly. He is urging players to contact their lawmakers and ensure that they will not support it. This bill is being driven by Adelson and his massive wealth, most of it coming from being the owner of the Las Vegas Sands, a casino. It’s no surprise that he is a large contributor to Graham’s election campaign this year and is opposed to online gambling that could take away a large part of his business. Last year Adelson contributed $15,600 to Graham’s campaign. While Graham claims he is supporting this bill out of his own moral integrity, you couldn’t be faulted for coming to other obvious conclusions. While the fact that there are still a dozen co-sponsors may be concerning, these are mostly long-time opponents of gambling as well. As long as they are unable to garner a substantial amount of additional support, poker should be safe for the time being. Given that Adelson is one of the largest Republican contributor, he also isolates most potential Democratic support. One of the key goals of this bill, according to Chaffetz, is to bring up the issue of online gambling to Congress. In the past the Department of Justice (DOJ) have ruled over related issues, as they had in December of 2011 when they stated that the Wire Act only applies to sports betting. When you open up the Pokerstars lobby, or the lobby of any major poker site, there are tons of games you can play. There are the tempting sports betting and casino games, which are generally best avoided if you are trying to play poker professionally, and there are many varieties of poker. When you are beginning your journey as a poker player, it’s fine to start by playing many different types of poker, but the purpose of this is to try and find the one that you enjoy the most. Texas hold’em has been popular for the past decade or so because of the immense coverage in media and the simplicity of the game, but this doesn’t mean that it’s the only game you can make money in. If you enjoy Omaha or Stud you just need to be prepared for a steeper learning curve. The most important thing you can do to ensure quick and lasting success is to pick a single game and try to master it. Even though Omaha may look like Texas hold’em on the surface, those extra two cards in your hand change almost everything about how to play a hand correctly. Other forms of poker are even more different and have completely different sets of rules. If you are trying to win at multiple types of poker at the same time, you are likely to lose or have mediocre results at both instead of advancing rapidly at one. The next part of choosing a specialty is picking a format. 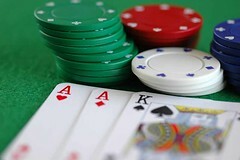 There are both cash games and tournaments for almost any variety of poker, but there are also various formats of both. For example, within cash games there is heads up, short handed and a full nine or 10 player table formats. The game may be the same, but each format emphasises different skillsets, so you need to see where your natural tendencies fit well with. If you are great at getting inside player’s heads, heads up or short handed will fit you well. On the other hand, if you have great patience and discipline, long handed games may be better. Think about anything else in your life that you’ve worked hard at. When you focused on that one thing you’ve made incredible progress in a short amount of time. Now think of a time where you started something but got distracted by a side project. In this case you split your time and will make progress, but not as much as the first case. Poker is no different than any other skill in life, if you dedicate yourself to one part of it at first you will have great success. If you do well at your chosen game I encourage you to stay with it. Once you have achieved a level of success that you set out to, you can then broaden your skillset and try to master a new game. Is Poker Still Beatable in 2014? There’s no doubt that if you ask any poker player that’s been around since online poker began that he’ll tell you poker has gotten significant tougher to beat. There are a few main reasons that win-rates are decreasing and disappearing. There are more excellent training resources than there ever has been in the past. When I began playing in 2006, Doyle Brunson’s book Super System was considered to be the holy grail of poker knowledge. There’s still a lot of quality information in it, but it’ll only get you part of the way to becoming a winning poker player in today’s games. The ways people can learn have also improved. Instead of reading books, players can watch videos of top players and learn what and how they think. Poker software allows for sophisticated analysis of your play to identify where you are losing money. A dedicated beginner can now reach a decent level of play in a very short time. While there will always be new players learning the games and recreational players just trying to have fun, there are less beginners who lose money when they play. This is due to several reasons, mainly that poker is no longer the ‘new’ thing that had a significant excitement factor when it was first announced. You should also take into account the effect that ‘Black Friday’ had on online poker as a whole. The average American has more disposable cash than almost any average person in other countries. When Americans were banned from online poker, the games instantly got more difficult. It is possible in the future for it to be fully legalized, but for now you have to live in America to play on the sites that allow them, which aren’t necessarily any easier to win at. Years ago when poker sites were trying to attract as many players as possible the rakes were lower. You paid less to the site when entering tournaments and you paid a smaller tax on winning pots in cash games. Since the amount of new players signing up for poker has slowed down in recent years, sites have increased the rake to make more profit. Now a few cents a pot doesn’t seem like it would have a huge effect on your win-rate, but when you consider that most players only win a small amount per session, an increase in rake can turn a winning player into a losing player. Can You Win in 2014? Winning is still possible, but it is also a lot more difficult. Players who don’t spend time improving their game over the years could find that they fall behind the average and become losing players. For new players there is a much steeper learning curve, but if you approach the game with an intense desire to learn, you will be able to absorb enough to become a winning player faster than ever before. When games become tougher it makes skills like table selection even more important. Learning advanced techniques that allow you to dominate at a level will allow you to sustain the winrate you’ve always desired or had in the past. The alternative is to switch the game that you play. Texas Hold’em in particular has become fairly saturated with a lot of expert training material available. Switching to a newer form of poker where even the best players still aren’t that good is one of the best ways to increase your win-rate. If you’re a new player you start off at the same level as everyone else, but if you are an experienced poker player there are a lot of transferable skills that will help you become a winner in no time. The bottom line is that if you want to keep winning at poker, which is becoming more difficult over time, you need to adapt your game and improve or find an game at an earlier stage of development to beat. There is no such thing as the “perfect” poker player (although some players may think that they are because poker definitely builds on one’s ego). Everyone that sits down to play, whether they have been doing it for years and years or if they decided to finally give poker a shot, makes mistakes. Obviously with experience and seeing any and all situations related to poker, a player can make less mistakes than his opponent and can also be more conscience of what he/she is doing as well as what his/her opponent is trying to do as well. One of the most common mistakes players make in tournament poker is that they overplay hands. What I mean by this is that players get stubborn with big hands and tend to spew off in spots vs weaker players (which is not terrible because these players will give you a chance to redeem yourself) or vs stronger players and it makes it more difficult to compete. The chips they used in those spots would come in to play when they find a better spot in the later stages of the tournament. This day and age most tournaments played have deeper stacks and allow a player to maneuver a little more. If you are playing from behind with a below average stack, you tend to get called a little weaker than you would if you had an average or above average stack and your hands lose value which leaves you in coin flip situations a lot earlier in a tournament. Let’s say you have an average stack a few levels in to a tournament and you open AK in early position and get called in 2 spots. The flop is 6 8 10 rainbow and you make a continuation bet (which I am ok with) for 55% of the pot and you get called by 1 player. At this point in time you should always be putting your opponent on a range of hands and have a plan throughout the remainder of the hand. If the turn is another blank, you should obviously consider just giving up if you put your opponent on a made hand and you think that they are not going to fold. The common mistake here when the turn comes out a blank is that the AK hand may fire another bullet and could be drawing close to or stone cold dead. That’s why it’s important to put the other player on a range of hands where if a certain block of cards hit the turn, you need to shut down and just find a better spot. More times then not your opponent will miss the flop as well and the cbet (continuation bet) may work or even firing another bullet on the turn if a card falls that you think cannot be in your opponent’s range. It’s all about the plan that you have for the hand and not just forcing the action to try to win a pot that you have almost zero chances of winning. That leads me in to another common leak or mistake that a player makes and that is not having a plan during a hand. If you are just going through the motions, good players will pick up on that and they will exploit it 100% of the time. It’s important to keep your bet size, betting pattern, betting style all the same whether you “have it” or not. Good players will be able to pick up on the way you place your chips in the pot just as well as the amount you bet with different hand ranges. It’s always important (especially for newer or less experienced players) to be conscience of this. I see this in every session I play and I use these mistakes to my advantage every chance that I get. If you decide to enter a pot, no matter what 2 cards you have, always have a plan on every street during that hand. Know that if you miss the flop completely that you are still trying to tell a story so you have to make it believable. On the other end of that, if you connect with the flop than you want to extract as much value as possible. It’s important to know who is in the hand and what hand range you think that they may have. You never want to miss a street of value so take a few seconds to go over all of the possibilities like leading in to the pot without losing the other player(s) that saw the flop with you. Think about whether or not you are raising if you get raised on the flop and what other hands that are possibilities and could have you in bad shape. Take all of this in to consideration before you move on to the next street in the hand so that you are prepared and have a game plan put together and know exactly how to execute it. You are currently browsing the PokerTips Blog blog archives for March, 2014.